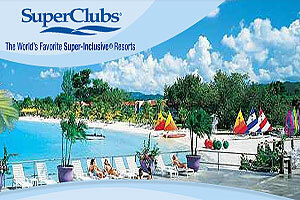 The Super Clubs Super Surprise In Jamaica Is Actually Six All-inclusive Resorts: Grand Lido Braco, Grand Lido Negril, Breezes Montego Bay, Breezes Golf And Beach Resort In Runway Bay, And The Famous Hedonism 2 In Negril And Hedonism 3 In Runaway Bay. When SuperClubs introduced the Super-Inclusive vacation, we raised expectations for an entire generation of vacationers, and raised the standards for our competition. After 30 years, we're still recognized as the innovators. Frankly, nobody even comes close. Super-Inclusive isn't just about more. It's about better. It's about offering the finest beaches and the most comfortable accommodations. It's being greeted with a friendly smile when you arrive and warm wishes when you leave. It's world-class chefs and world-recognized golf and tennis pros. It's about promises made and promises kept.